According to research, various weather patterns can affect our moods and emotions. For several years, people have been diagnosed as suffering from SAD (seasonal affective disorder), while many experts also believe that cold or hot temperatures can drain our energy and tamper with our sleeping patterns, respectively. Looking outside and seeing rain lashing against the window rarely puts people in a good mood. But is there more to it? Some experts believe that rain could actually negatively affect our social lives, leading us to feel isolated, frustrated and downbeat. A study of more than 11,000 adults, led by Dr. Alan Teo, found that digital communication (e.g. emails and phone calls) offered little protection against participants developing depression over a two-year period — unlike face-to-face contact. The people who met up with friends and family member three times every week showed the lowest rate of depression after two years — only 6.5% developed the condition compared to those who met up one a month (11.5% development rate). If it’s raining heavily and consistently, we may be more inclined to cancel plans to physically meet our friends and family, or have them cancel on us, which could leave to a less fulfilled social life. Also, getting drenched in a downpour could lead to us feeling unwell, which may also cause our moods to lower. An experiment, carried out by researchers at the University of Freiburg, found that mice injected with a virus similar to human flu showed signs of despair, lethargy and sadness when battling the infection. According to the researchers, this is because our bodies react to an infection by releasing a protein that doesn’t respond well with our hippocampus — a region of our brains that controls mood. A lowering of moods during winter has apparently been recorded as far back as 1845. 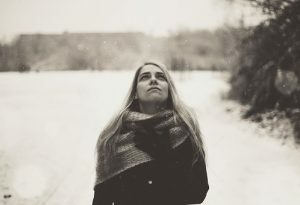 Now named seasonal affective disorder (SAD), the condition is a type of depression that happens to sufferers at certain times of the year — most notably autumn and winter. According to research, 6% of UK adults have the disorder, and it can even affect children — although, the average age of SAD sufferers is 27 years. So, does sunshine equal happiness? It may be the case. Those studying SAD have found that the rate of vulnerability rises the further from the equator you live. 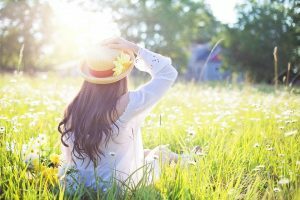 Reports also show that sunshine boosts our moods by raising the level of a certain brain chemical called serotonin — believed to regulate our mood, anxiety and social functioning that is also used in many antidepressants. So, less sunshine means a weaker production of serotonin. Similarly, it seems that sunny weather makes us get a better night’s sleep — and we all know how great an effect that can have on our moods the following day. Research carried out at the University of Rochester Sleep Laboratory in New York discovered that good weather caused participants of the study to sleep more soundly. This could have something to do with the fact that being exposed to bright light during the day encourages our bodies to produce more melatonin — a hormone that acts as a detoxifier, rejuvenator and sleeping agent —when the sun sets. In fact, a Finnish study discovered that rodents that were given daily sun exposure produced a great deal more melatonin at night than those that received only artificial light. Evidently, natural sunlight and a good night’s sleep seem to go hand in hand. With the fact that less sunlight means your body generates lower levels of vitamin D — essential to good health and a subsequent happy mindset— it’s important to look for ways you can increase your exposure to sunshine. To help your body get plenty of sunlight, save up for a winter-sun holiday and spend as much time outdoors when the weather is fine as you can. How hot or cold the day is can also impact our feelings of happiness or sadness. During colder months, our bodies are forced to work harder to keep us warm, which includes raising our heart rates. This means that more energy is diverted to achieve this aim, causing us to potentially feel lethargic and less willing to participate in socialising and activities when the temperature drops. But why is this important? Mental health organisation, Mind, states that getting exercise is a contributor to sound mental health, while another scientific study found that getting active holds ‘the promise of better mental health outcomes’. Typically, our immune systems are under more pressure during cold seasons, and so, are less capable of fending off illnesses — which we have already discussed can contribute to low moods. On top of this, chronic conditions — such as back pain — are more likely to flare up due to winter weather, which may make you feel frustrated. But what about hot weather? Apparently, one UK study predicted that higher temperatures due to climate change will cause 9,000 fewer deaths in winter by 2050, while other US studies have shown that there may be a link between crime and rising heat levels! It seems that hot and cold weather also have an impact on how we feel and our behaviour — but try not to let a chilly day stop you from getting out and about. 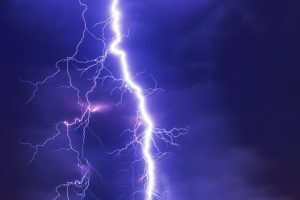 With experts predicting further changes in weather patterns as climate change progresses, what can we expect from how weather will affect our psychology in the future? This article was researched and created by Fulton Umbrellas — an industry leader and premium supplier of clear umbrellas.